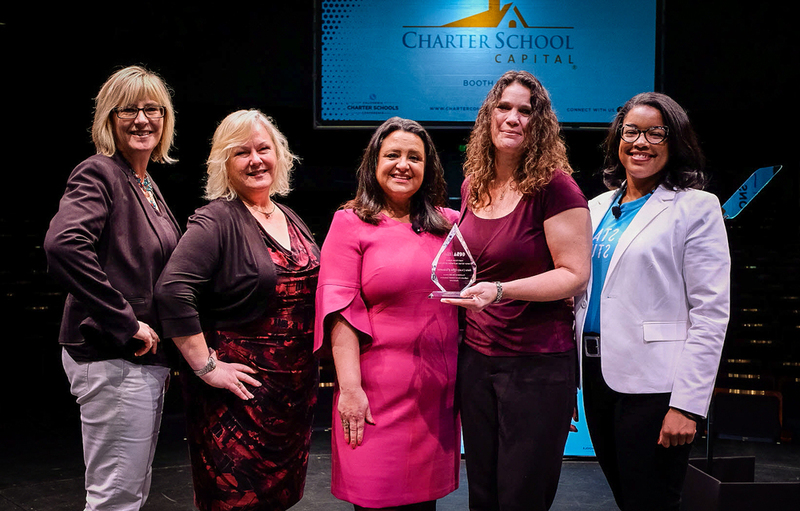 Sacramento, CA – Butte County Office of Education has been recognized by the California Charter School Association (CCSA) with a special Hart Vision Award in recognition for support provided to charter schools affected by the Camp Fire. The award was presented during the 26th Annual CCSA Conference in Sacramento on Tuesday, March 12, 2019. The Hart Vision Awards are given annually to individuals and organizations with outstanding records of leadership and emphasis on excellence in public education. The awards were established in 1995 honor of Gary K. Hart, retired California State Senator and former California Secretary of Education, author of California’s landmark charter public school legislation. BCOE has a long history with charter authorization, beginning with BCOE’s Learning Community Charter School more than twenty years ago. “BCOE is also a regional lead for charter authorizing and supports LEA’s throughout the region and state as they continually improve their own practices,” said Barbara Mandelbaum, BCOE’s Director of Instruction and Charter Oversight. Ms. Mandelbaum, Butte County Superintendent of Schools, Mary Sakuma, and Michelle Zevely, BCOE Assistant Superintendent of Student Programs and Educational Support, were present to receive the award at the CCSA Conference which was held in Sacramento.